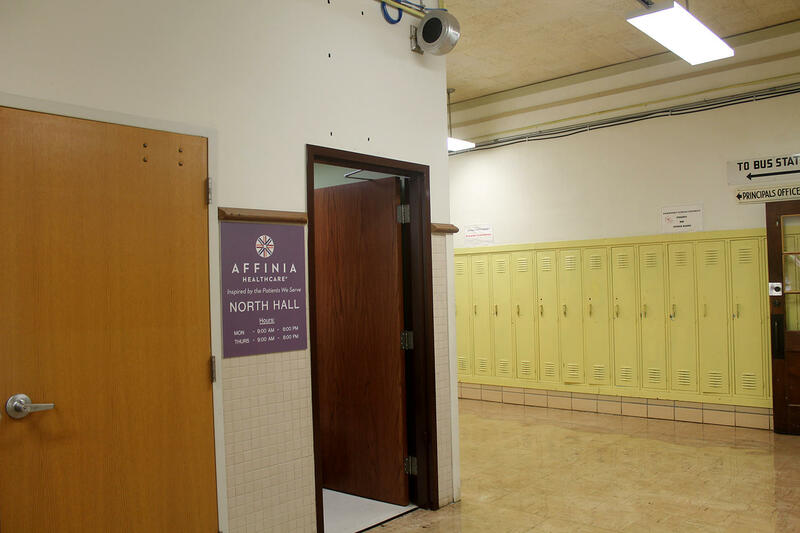 Affinia Healthcare opened a clinic at Normandy High School on Thursday. Normandy’s health clinic will be run by Affinia Healthcare and staffed by a nurse practitioner, a licensed social worker and a medical assistant. Staff members who go will have to pay, but students won’t be charged for the services. Normandy Superintendent Charles Pearson said having a clinic on campus makes health care easily accessible to students, especially in his district, where more than 90 percent of students qualify for free or reduced-price lunch — the federal standard for tracking poverty in schools. Normandy's clinic has two exam rooms for physicals and and other medical treatment. He added that the goal is to “get rid of anything that gets in the way of their learning. And, if we can, inadvertently also improve the quality of their life.” The Normandy district has been unaccredited by the state since 2013 because too many students are below grade level in math and English. District officials hope this year’s test scores will be high enough to become provisionally accredited. The study focused on the health of African-Americans in the St. Louis region. Researchers said childhood illnesses like asthma are more likely to result in ER visits when students don’t have a primary doctor who manages their care. Black students in St. Louis and St. Louis County visit emergency rooms for asthma treatment at a rate 11 times higher than white students, the study found. The director of the For the Sake of All Project, Washington University associate professor Jason Purnell, is trying to make the report’s recommendations a reality. Normandy's clinic on the high school campus has a waiting room, office space, and two exam rooms. Two other high schools in north St. Louis County are making arrangements with health centers to operate a clinic. For the Sake of All is also completing health needs assessments at three high schools in north St. Louis County, a first step towards opening a clinic. 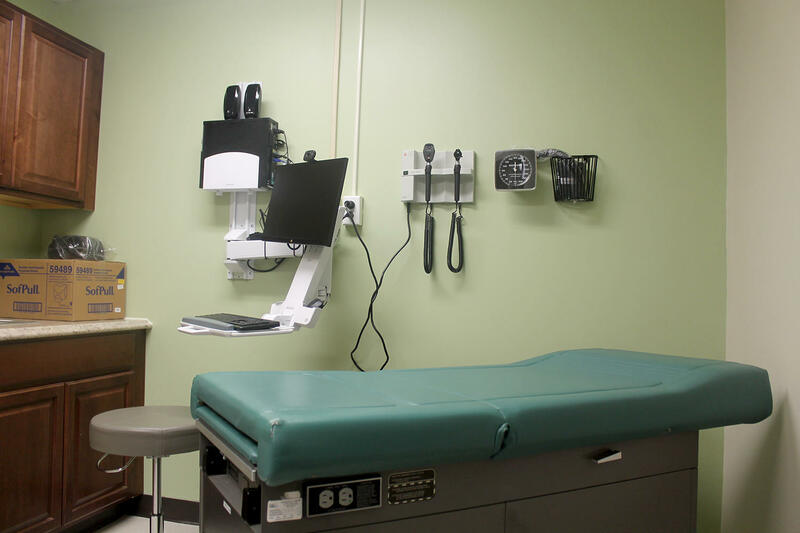 But there’s a catch: Services at school-based health clinics are largely paid for through Medicaid, which could face cuts under the Republican-led Congress. “I’m very concerned about (the possibility of cuts), but I also think that ... (w)e have a case to make to policy makers,” Purnell said, adding that such health clinics can help prevent diseases or treat them before an ER visit is necessary. Roosevelt High School in the St. Louis public school district has had a clinic since 2012, and Jennings Senior High opened a clinic in 2015 in partnership with “The SPOT,” a Washington University program. Jennings Superintendent Art McCoy said having health clinics on campus has made a big difference in his district. McCoy said the clinic prevented a lot of absences at the beginning of last school year because of two new vaccination requirements. “Many school districts had students not show up to school for the first week or two because they couldn’t get a scheduled appointment to their physician or the clinics. Well, the SPOT clinic did 150 student new vaccinations or immunizations,” McCoy said. Updated Nov. 14 9:45 a.m. with results of the assembly — By the 2018-2019 school year at least four school districts in the St. Louis area could have policies banning out of school suspensions for their youngest students. At a regional assembly on suspensions Sunday evening, the Maplewood Richmond Heights School District pledged to ban out of school suspensions for pre-K through 3rd grade next school year. Ladue and Normandy committed to doing the same the following year. St. Louis Public Schools enacted their own ban this school year. People who live in different parts of north St. Louis County may have a 12-year difference in how long they can expect to live, according to an analysis of census tracts by Virginia Commonwealth University. The school’s Center on Society and Health has released two dozen maps of life expectancy gaps in selected metro areas over the past three years. The findings in St. Louis closely mirror the results of the For the Sake of All study in 2014, which used zip code-level data to reach its conclusions.